The latest in conversion kits is a continuation of our efforts in recent years to offer you 9mm pistol owners out there the chance to utilize our new 22TCM9R cartridge. Kits for G19 and G23 models will be available in the first half of 2016, with additional kits planned for the near-term. These two new kits join the G17, G22, and Gens 1, 2 and 3 kits that were met with fan love in 2015. It's all about getting these kits to a wider audience. The kits are valued at $431 (MSRP), an affordable option in the current marketplace. They will be available nationwide in the coming months. This time last year, we rolled out universal single-stack conversion kits (MSRP $473) for full-size and mid-size 1911s. They utilize Rock Ultra slides to accommodate full functionality. Riding the wave of the Baby Rock Standard CS last year, we will introduce our latest compact-size pistol, the Rock Ultra CS Warrior, in the latter part of 2016. 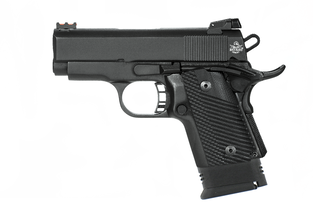 This 45ACP caliber firearm is designed for conceal carry purposes and is modeled after the 1911 design. It's all part of an effort to offer you more options when it comes to compacts, without sacrificing stopping power or capacity. The Warrior includes a 10-round capacity, a three-inch barrel, 6.3 inches in length and 5.5 inches in height for a small but powerful conceal carry pistol. The Warrior also comes with a low price tag (MSRP $814) compared to very similar products out there in the market. 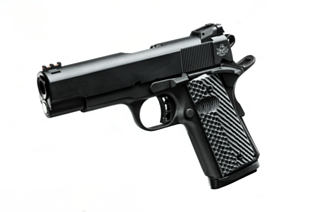 We plan to make our newest 1911, the XT 22 Magnum, available to consumers in 2016. It’s the first true 1911 to feature the 22TCM9R cartridge, as well as a longer frame, trigger bow and magazine to prevent feeding issues. 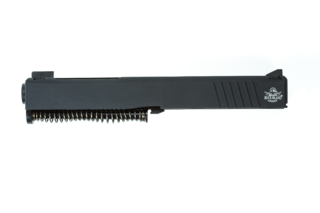 Finally, in addition to a left-handed version of the TCM Rock Ultra Compact-Size pistol, we'll be introducing the TCM Rock Ultra CCO to that line of firearms. 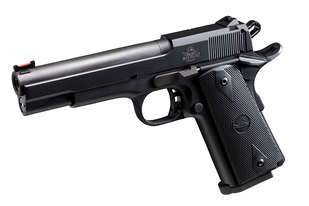 It's all part of continuous expansion of pistols that operate with the .22TCM caliber to meet customer demand.